I guess I need to find more ebooks for my little man now that he knows how to read. We were fascinated with the ability he have lately, knowing to read in a very early stage of childhood is definitely a gift/talent. He knows pretty much everything from just reading and could learn more in advance. In order to enhance his reading skills, we have to ensure that he reads at least once or twice each day and even encourage him to read often too. By then, when he gets into his adolescence stage, he will pretty much read most of the children's books in this household, unless I have to get a new book for him. Thankfully, I have another way of purchasing good books for him to start. An ebook where I can download from an online store and down to my ipad2. It's more convenient, fast and yes, I don't need to stack them all in our bookshelves. 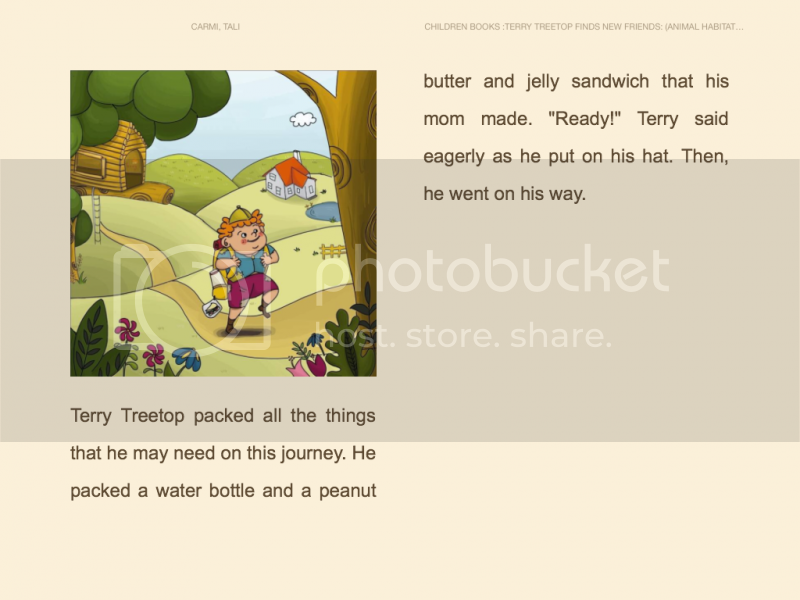 Our little man could simply open the tablet and go to the kindle apps we have in order to view or read the book. 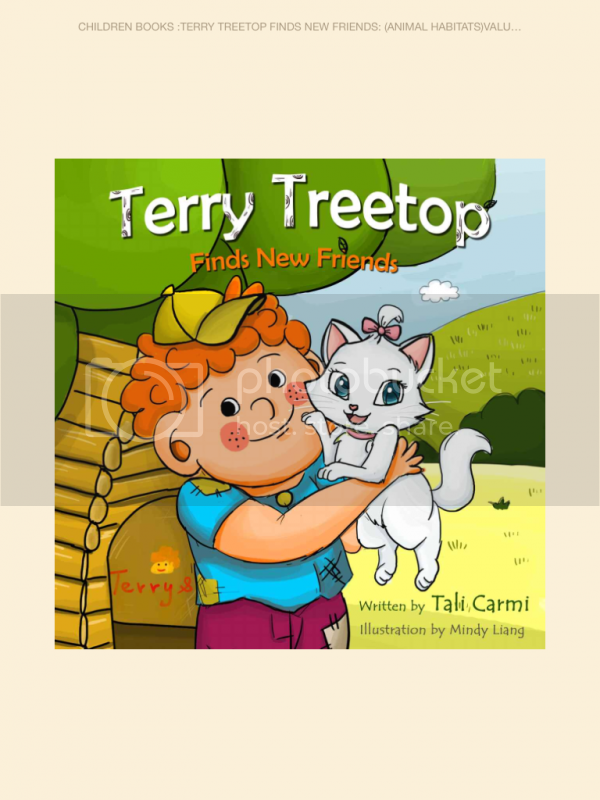 Today I will be reviewing about an Ebook entitled - Terry Treetop Finds New Friends. The cover of the book indeed is an eye-catcher, every little boy or girl would be curious of what the story is all about. The simple words along with 1 photo to describe a specific scene comes with mostly page. The values of the story are what I'm always looking forward to learn and again, I am happy to see how simple and good the story about Terry. Helpful, patience and more is what you can read in the book, a truly nice reading material for kids. Would like to purchase the ebook? Please visit Amazon for only $1.00 and it will automatically download to your tablet or kindle gadgets. Wow! It's only a dollar? That means I can get it for free because I have a $1 code. LOL! Thanks!!! The cover does look cute! Physical books are still my preference when it comes to reading for kids. Too much reading using a gadget might hurt their vision. 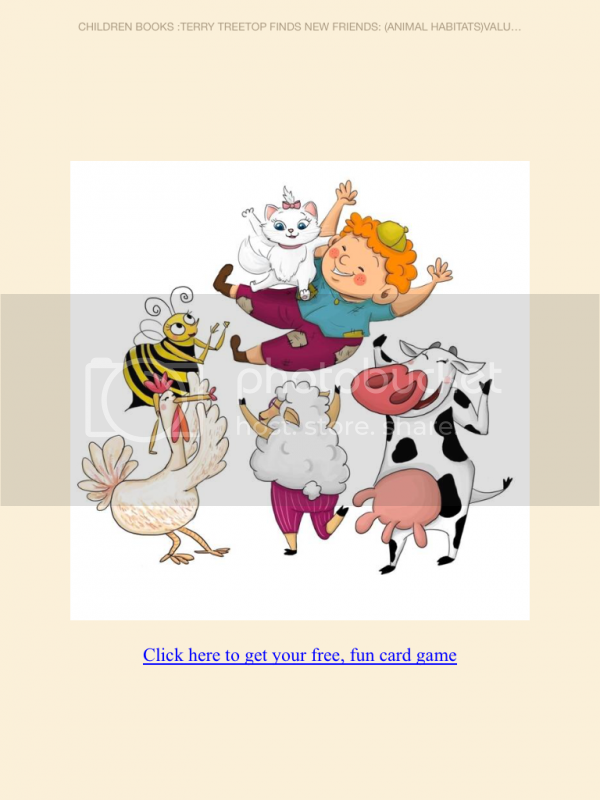 My kids, never really embraced the idea of reading storybooks online, but it may not be too late, however, as long as its a story with moral lessons and special characters, it's worth reading. Oh! This is a great book for the little ones. I'll try to introduce this to my little sisters. One of the benefits of modern technology is that it allows us to do things faster and easier. Now, people don't really need to buy books from the bookstore anymore. They can simply download e-books and voila! Teaching kids how to read is now done in a jiffy, and they also learn to love books the modern way.